Re-Vamp Your Wardrobe During This Huge Cache Liquidation Sale! Found mostly in malls, Cache, is a premium women’s apparel chain that has more than 150 locations all over the United States. However, in February 2015, Cache had to file for bankruptcy protection. They are now liquidating their entire inventory! And of course it is always sad to see a great company go, but it will be okay because we can completely re-vamp our entire wardrobes with the major sales that are happening all across the nation! What Is The Sale Exactly? 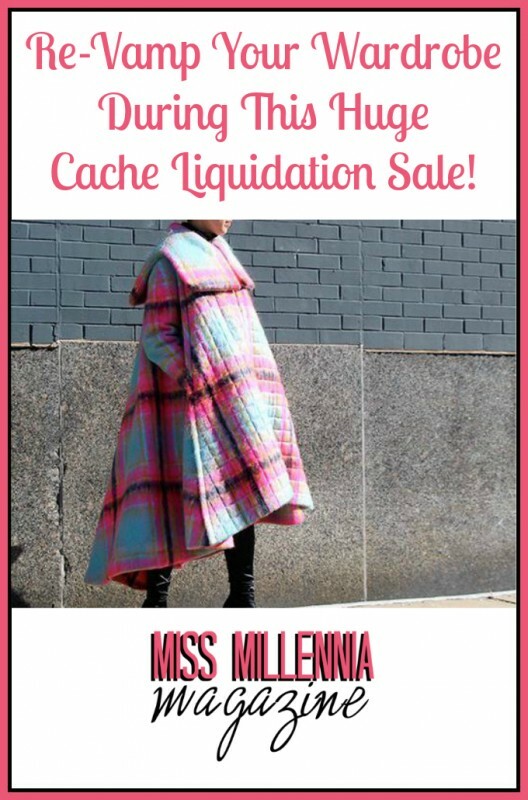 The liquidation of Cache began in March 2015 with sales ranging between 30% and 60%. As the sale continues, the percentages will continue to grow! You can also receive an extra 10% off of $100 when you either print this coupon out and present it in the store or,even better, just simply show this coupon on your smart phone to be scanned by the cashier while checking out. Prices and discounts are changing daily, so keep up to date by following them on their multiple social sites: Facebook (fb.com/cachestyle), Instagram and Twitter (@cachestyle). Am I Eyeing Anything In The Cache Store? Of course! I love Cache! I would be a little more than cray cray to not have a few pieces from their collections to call my own, especially during this huge liquidation sale. Here are a few of my favorite looks that will have me (and hopefully you as well) heading straight to the closest Cache store! I love this colorful eye catcher. I mean, talk about a statement piece! Chic yet modern…fitted but free-flowing. This is what I would call a show stopper. I can just imagine braving the coldest winters in this lovely coat. This printed wrap dress is perfect for the work day and could easily be worn to happy hour. (A big plus in my book!) Versatility is so important. No one has time for outfit changes in the middle of a busy day! And since it’s a wrap around, I can lose and gain weight as much as I like and it this dress will still look awesome! Can anyone say holiday wear? These are just a few great looks that Cache offers! Check them out and create your own looks that will make you feel not only stylish, but unstoppable! Are There Any Stores Near Me? 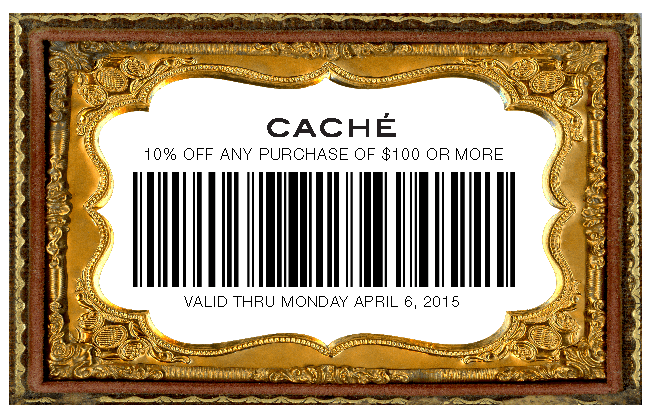 Like I said earlier, Cache has over 150 stores nationwide, so there is bound to be one near you. Jump on this sale, Millennials, it definitely will not last forever. And once it is gone, so will your chances on getting versatile pieces for almost nothing!